Here is a guide to help you determine how a student is doing, based on their records on ManageBac. Requirement 1: Students must meet the eight learning outcomes. Which learning outcomes appear to be a problem for the student? Yellow bar indicates the student believes they are involved in sufficient activities to achieve the learning outcome. Green bar indicates the student has provided evidence that they have achieved the learning outcome. Is the student missing any supervisor evaluations? 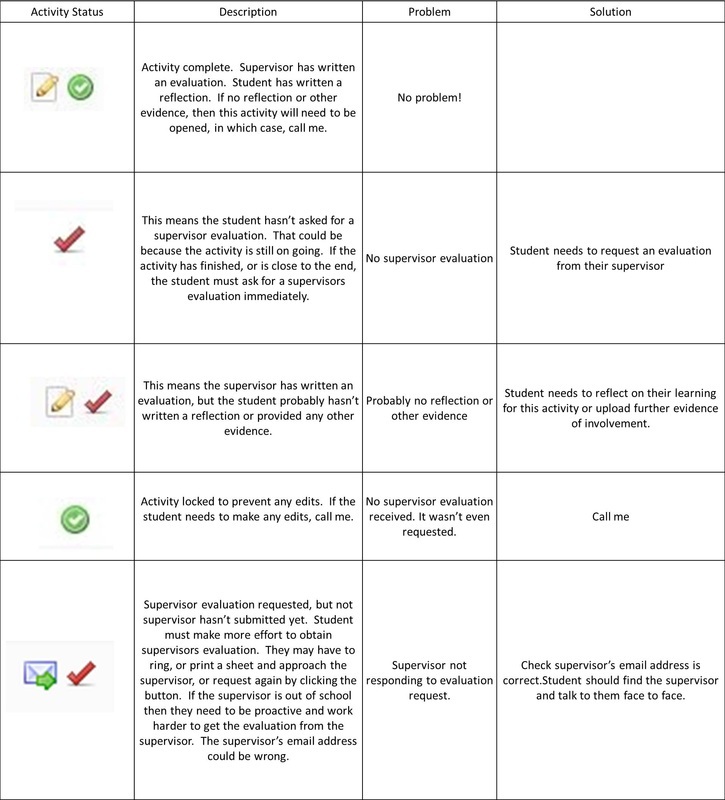 How can you tell if a supervisor has written an evaluation for the student? Go to the students worksheet and find the section with these symbols.